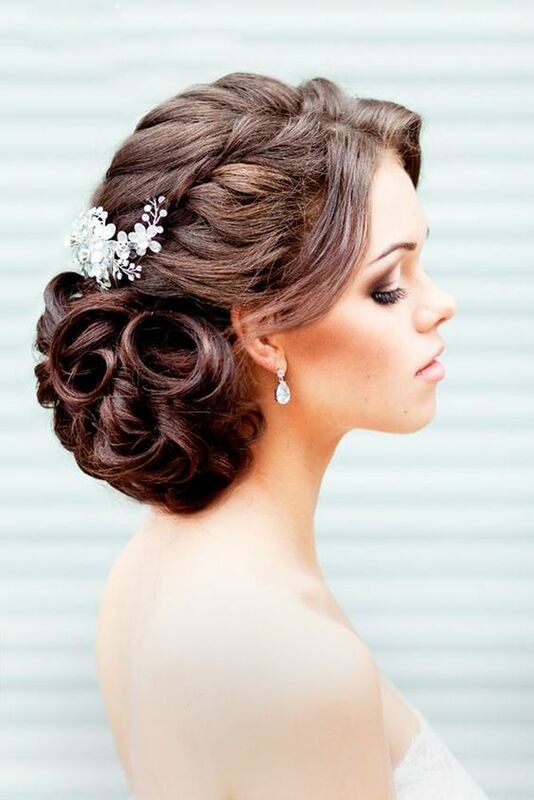 Check out some of the most elegant and stylish bridal hairstyles for this Fall/Winter season! It is the season for wedding Shehnais and shenanigans. 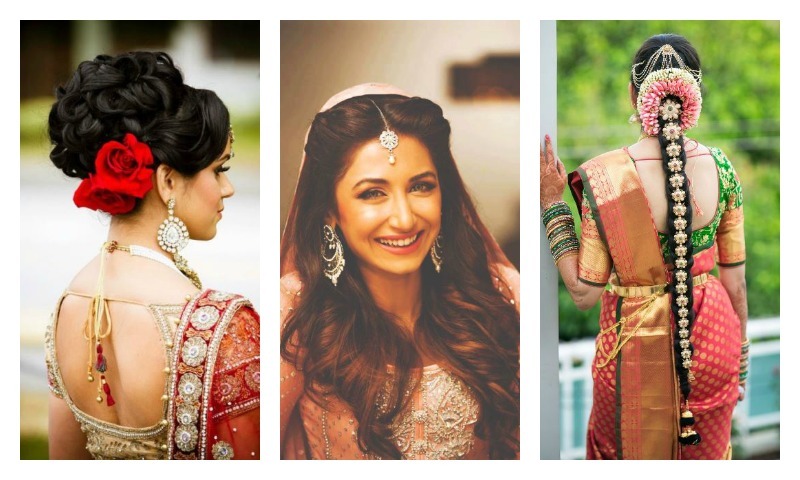 Asides from stunning outfits, glinting jewels and picture-perfect makeup, bridal hairstyles go a long way in making a beautiful girl into a gorgeous bride. Whether you rock mermaid waves or a mussed-up chignon on your big day, the focus this season is on healthy hair. Do start a regular and good haircare regime at least two months before D-Day. Regular oiling (sometimes using specially put together concoctions depending on specific hair concerns), hair spas, hair masques and regular trimming (even if you are growing your hair) are non-negotiable so that hair looks healthy and not wispy or frizzy. Besides external pampering, our hair and skin are what we eat. Do ensure a healthy diet comprising rich proteins and natural oils to moisturize and strengthen hair from within. You may speak with a physician or cosmetologist who could prescribe a few over-the-counter vitamins that add to hair and skin health. If your hair is naturally shiny because it is healthy, you need not fret about over-styling it. Enhance the texture by applying some serum or curl-enhancing product and leave them loose, accessorized by flowers or jewelry for that Sangeet or reception event. Flowers in the hair is a classic and evergreen bridal look. From a big, blousy single bloom worn on the side of the head, to small flower heads pinned all over the hairstyle, this is one trend that is always a part of all wedding seasons. Choosing a hairstyle also depends on whether you are covering your head with a veil – whether that veil is diaphanous or not. In this case, focus on the front part of your hair rather than the crown. Hair trials with your salon are always a good idea so that there is no last-minute stress on D-day. Having a rehearsal of a complicated hairdo is a good way to not only check how the final product will look, but also take a call on how practical would the hairstyle be. Intricate updos can be complicated and are best done by professional hands. They also do a good job of hiding hair flaws for the actual wedding ceremony. When it comes to some special style, decoratively done hair always add to a extraordinary look for an exceptional day. Undone hairstyles are also a hot look for brides wanting that boho look. Michael Kors showcased loose tangles around the face and this clever face-framing technique would also work for brides. Tom Ford and Rachel Zoe have been partial to Old World-style braids – perfect for brides planning a festival theme. Windswept tendrils that frame the face also add innocence and are a delicate simple touch. Want a glamorous look for an Art Deco-inspired day? Gold details add a warmer, fashionable alternative to silver or diamanté, and also help to pick up gold shades in your hair accessories and perhaps even on your gown. Add some sparkle to a hair strand or a parting for making a stylish statement. Take a look at our mood board for more inspiration!